As I’ve gotten deeper and deeper into my journey into exploring the Rochester food scene, I have become familiar and enthusiastic about a few cuisines that I didn’t know much about beforehand. I’ve become a fan of Puerto Rican, Dominican, Jamaican, and Korean foods among others and have made an effort to travel to the varying neighborhoods around the city to experience as much as possible. 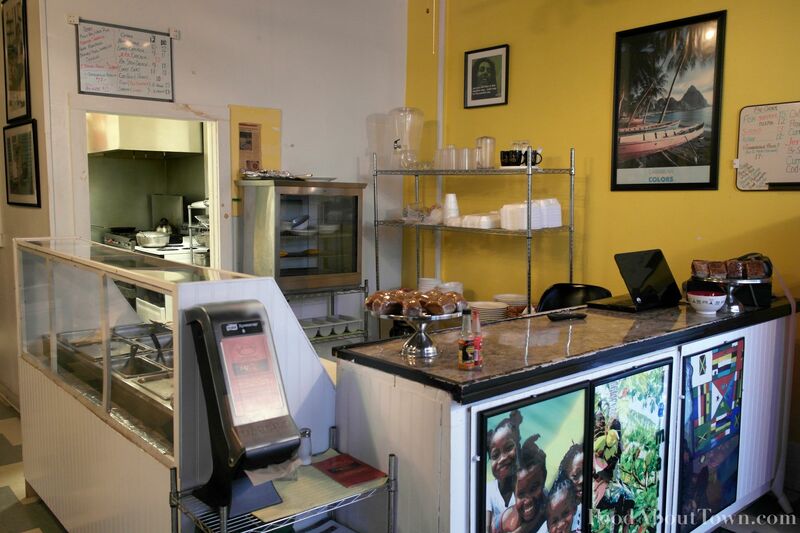 Located in the South Wedge neighborhood on Gregory Street just off the beaten path, Peppa Pot is dishing out the only Jamaican food in the direct area and some well worth checking out. My first experience with their cuisine was the the Foodlink Festival of Food last year when I tried their sorrel drink which was one of the standouts of the evening. Sweet and floral with a strong kick of ginger, the Kool Aid like appearance belies the depth of flavor that it offers and it made a lasting impression on me. I had that in mind when we stopped in to the restaurant to grab some of their food and of course some more of that delicious sorrel. We were warmly greeted by the owner/head chef there and, although the selection was a bit limited since it was late in the day and they are a popular lunch spot, we ended up ordering what we came for in the jerk chicken and the curry goat. I consider these to be two of the greatest hits of Jamaican food (at least from what I understand) and was happy to see that they were both available for us to try. 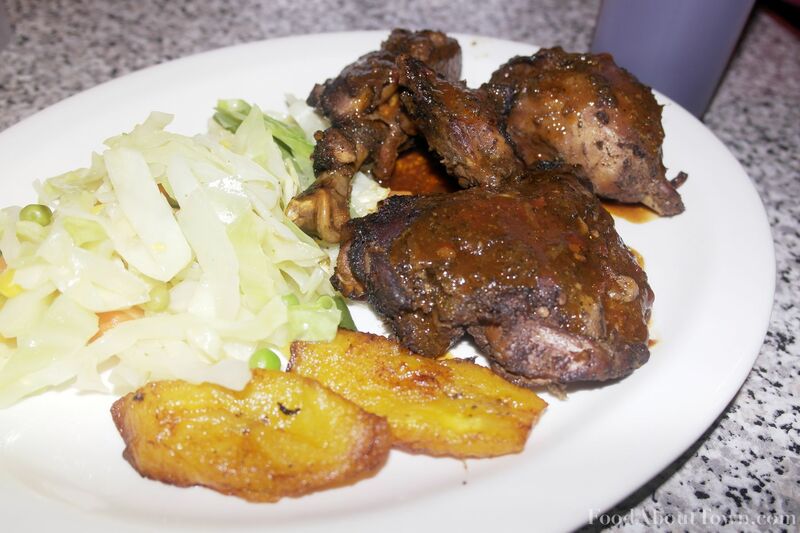 Jerk chicken is the most well known Jamaican dish and one I’ve tried more than any other. Peppa Pot’s version was rock solid; tender with slight char around the edges and not shy about the seasoning and spice which was pleasant. Thankfully the sauce was well balanced between sweet, salt and spice unlike many others that unfortunately hit only sweet notes. Really enjoyed sweating the heat on the healthy portions of jerk. Still slightly crunchy cabbage and mixed veggies came with the chicken and was a nice textural accompaniment. Since we neglected to mention we were eating in, we got our curry goat in a large to go container along with a hefty serving of rice and peas, some of the same cabbage and a few plantains. 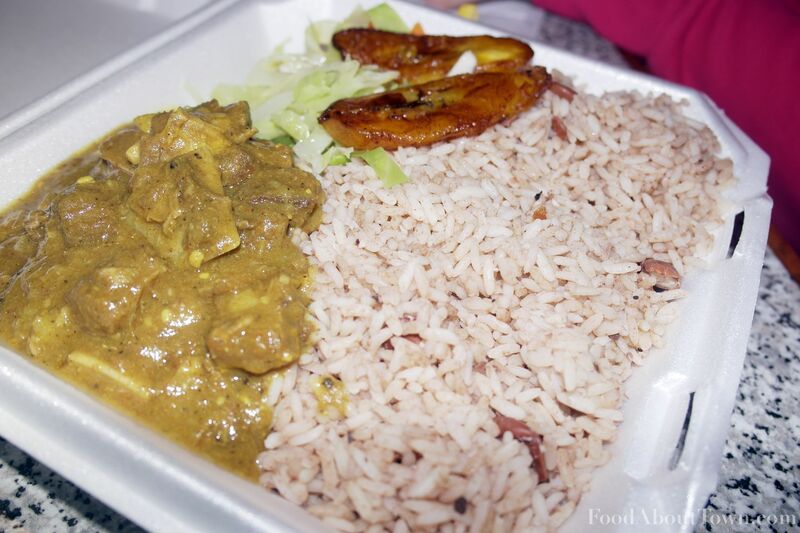 Curry goat is typically cooked using chopped goat meat with lots of small bones to be eaten around and this was no exception. We both enjoyed the tenderness of the meat and the base curry flavor, but I would have liked to have gotten a heat kick like I did from the jerk chicken. On the other hand, my dining partner appreciated the lack of heat so I’ll chalk that up to personal taste instead of something worth complaining about. Rice and peas were basic and a good vessel to grab onto the sauce but not something I would want to eat on it’s own. We pounded one of their sorrel drinks during our meal and it was every bit as good as I remembered. If for no other reason than to try this concoction, make a trip out to Peppa Pot in the South Wedge. You’ll be happy you made the turn off of South Ave and checked out some island cuisine!